Led by Chef and owner Ben Elliott, we are a Best of Boston-awarded team of professionals dedicated to helping our clients celebrate some of life’s most significant events with friends and family. We offer our clients a single point of contact throughout the entire planning process, learn what’s most important to you and provide guidance all along the way. 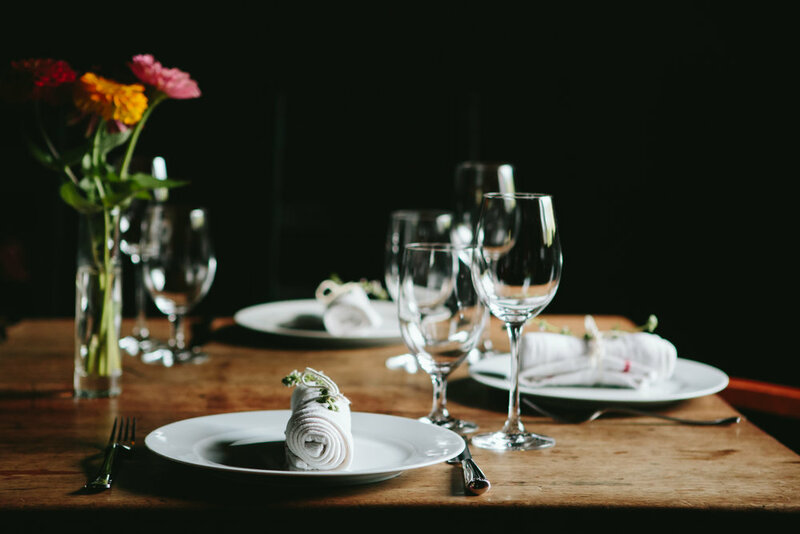 We work intimately with our clients to design a seasonal, farm-inspired menu that you will be proud to serve your guests and that incorporates as many ingredients from our own Saltbox Farm as possible. Built by Chef Ben's grandparents in the 1940s, Saltbox Farm is the main source of inspiration for how we cook and think about food. By using our own organically-grown vegetables, honey, eggs, lamb and hops, we are continuing Concord’s long agricultural tradition while ensuring a sustainable future for the farm that has been a key source of inspiration throughout Chef Ben’s life. See Chef Ben's full bio here. We serve the greater Boston area, the Berkshires, Cape Cod, New Hampshire, Rhode Island and Vermont. Located in historic Concord, MA, Saltbox Farm is Chef Ben Elliott’s home and a 10-acre working farm, supplying fresh ingredients for Saltbox Catering's clients and to Saltbox Kitchen, a café and brewery located in nearby West Concord. Built in the 1940s, Saltbox Farm was owned by Chef Ben Elliott’s grandparents until 2004, when he and his wife Julia moved to the farm to continue the family tradition, raise their own young family and to restore the farm. The farm has special meaning to Chef Ben, and he is excited to share this amazing place with you and your guests. Today on the farm we grow a wide variety of vegetables, raise sheep, keep chickens for eggs, bees for honey, grow hops for our own beer and have recently planted a small orchard that includes apples, peaches, pears and cherries. At Saltbox Farm, we use only organic and sustainable farming practices with no synthetic herbicides or pesticides. At the farm, we can host up to 14 guests for a private cooking class in our intimate, rustic farmhouse, home to The Cooking School at Saltbox Farm. Private cooking classes are perfect for small gatherings such as birthdays, bachelorette parties, or corporate team-building events. For more information on events at Saltbox Farm, please click here. From large to small, casual to formal, Saltbox Catering will help you plan your day with a custom designed menu that uniquely represents you as a couple. During the growing season, our vegetables, herbs, flowers, lamb, eggs and honey come straight from the farm onto your guests' plates. From initial concept discussion, through collaborative menu design and tastings to the day of the event, you will have a single point of contact who truly understands what’s most important to you. Leveraging our experience and expertise, we will help guide you through the entire process to create an unforgettable experience for you and your guests. Holiday parties to summer outings, sales meetings and client events, team building or regular weekly meetings, Saltbox Catering can handle your annual catering needs from A to Z. We offer a full Catering To Go menu or can design menus specifically for your event. We’ll also manage all of the details so you don’t have to worry about the little things. For smaller groups, we can even host your event at Saltbox Kitchen, our café and brewery, or at Saltbox Farm, our working farm. At The Cooking School at Saltbox Farm, our professional chefs share their love of food and knowledge of classic techniques through hands-on cooking classes. A Private Cooking Class in our intimate New England farmhouse is perfect for small group events such as birthdays, milestone events or bachelor/bachelorette parties, as well as corporate events like team-building or client dinners. Our team will create a custom menu just for your occasion, and provide as little or as much cooking instruction as you'd like. You can even incorporate a little friendly competition into your event. During the growing season, your group can take a farm tour, and harvest ingredients for your meal. Learn more here. If you'd like help with the cooking for your event, but don't need our full catering services, we offer a seasonal Catering To Go menu through our café and brewery, Saltbox Kitchen. Download the full menu here. For your next special event, let us design a meal that’s both delicious and unique. When planning a dinner party, many people typically think of a plated dinner or buffet, but we happen to love family-style menus. We can show you how a family-style meal showcases our cooking beautifully and encourages a less formal feeling of celebration, conviviality, and fun, which are the reasons we gather with friends and loved ones in the first place. Or how about an entrée duet, so your guests enjoy 2 dishes that complement each other, instead of just one? We can even prepare a dinner of small plates right in your own home or a beer-themed dinner utilizing beer as an ingredient. Our experienced team will work closely with you to plan and execute the perfect menu for your evening, incorporating as many ingredients from our farm as possible. View sample menus here. If you're looking to host your party outside your home, we can also accommodate an intimate group of up to 14 guests at Saltbox Farm, or a larger group up to 30 guests at Saltbox Kitchen, our café in West Concord. Whether passed or stationary hors d’oeuvres or a combination of both, our cocktail party menus showcase farm-fresh ingredients in fun and exciting ways and allow your guests to sample many different tastes and flavors. We love to elevate typically ordinary menu items in new and unexpected ways, resulting in bite-sized dishes that will delight you and your guests. Click here to view a sample menu. 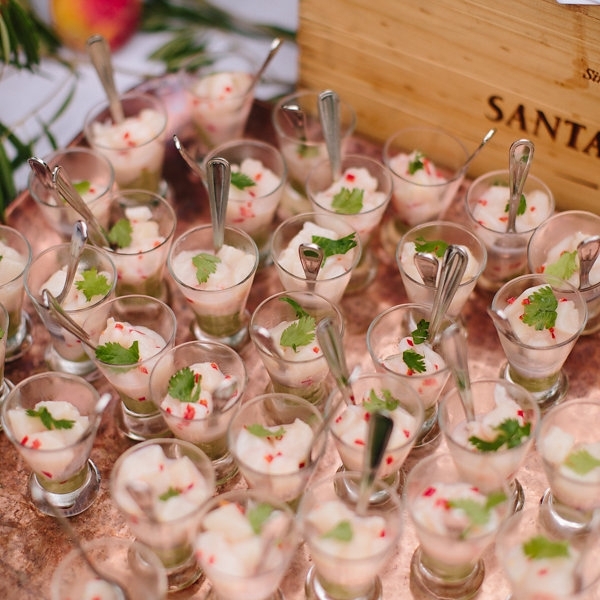 At Saltbox Catering, we recognize that these milestone events pose the unique challenge of needing to excite the tastes of both adult guests and children. We work closely with our clients to develop a menu perfectly suited for your particular event. We can even handle rentals so you can be free to enjoy your special occasion with friends and loved ones. Click here to view a sample menu. We would love to help you create a beautiful and memorable occasion. Please provide us with a few details about you and your event, and our Events Manager, Megan Hawkes, will respond as quickly as possible. Please be sure to include the date of your event. If you have a general question for us, please feel free to call us at 978-610-6020, or email us at megan@saltboxfarmconcord.com. We look forward to hearing from you!